Tony Gentile started wrenching in Gloucester, Massachusetts, at 12 years of age, at his dad’s service station, working full time tearing down motors, cleaning parts, and assembling. Tony saw several muscle cars and was often installing aftermarket high performance parts to give them an edge over the guy with his “factory” horses. With his last project roadster a wrap, Tony decided that one more project before retirement was necessary, one which his wife Lesley would enjoy and take on the road alongside the new hot rod. Wanting something unique, they decided on a 1955 Ford Thunderbird to be modified as a ‘60s era gasser. In fall of 2013, Tony located a frame and removed the front end in order to prepare the car to accept a straight axle kit. Then he began an elaborate lighter crossmember that would also help hold the extended rectangular tube frame during construction; and allow the motor to sit further back. Lesley gave a helping hand quite often. 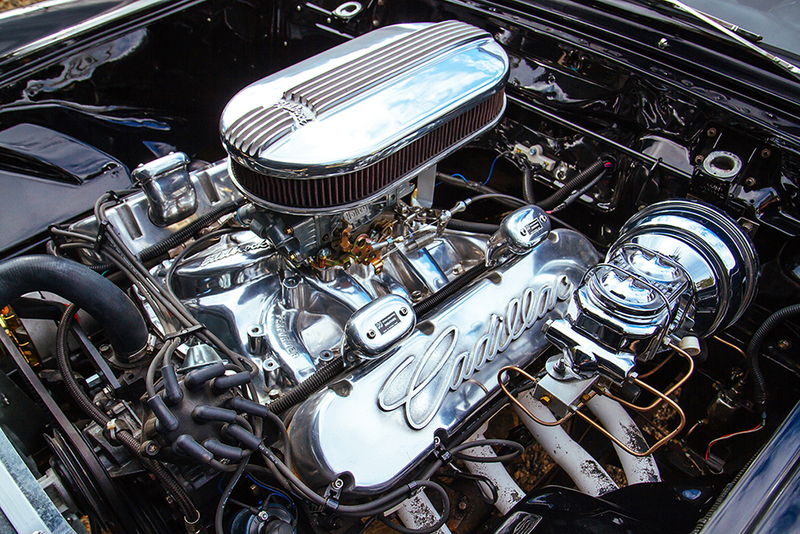 For the previous build, they had sought out a shop that would create Tony’s vision of a Cadillac 472 motor as the heart instead of the typical Chevy 350 as many wanted to do. 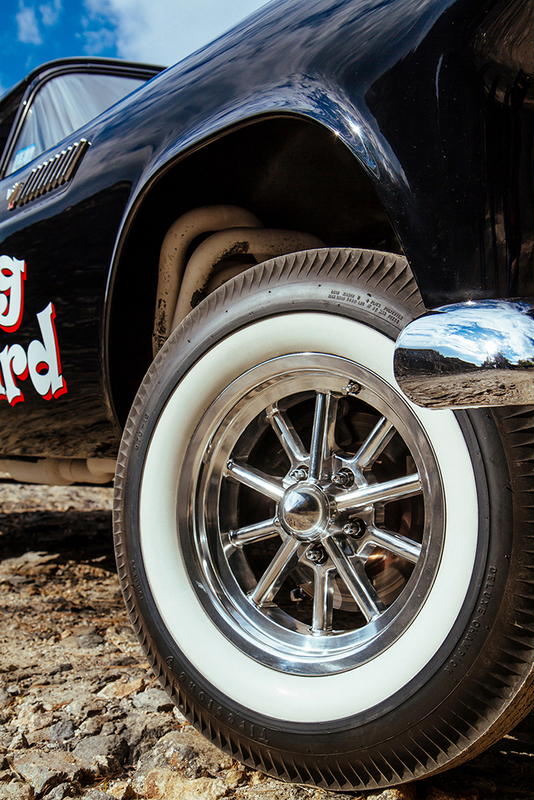 Tony’s expertise came from working at a Cadillac dealership in the ‘70s so overhauling the motor was a piece of cake. 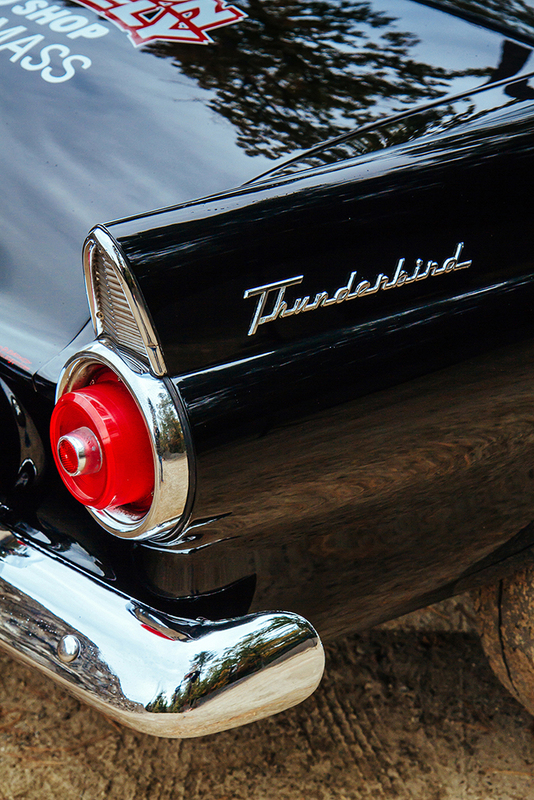 So, when it came time to drop a 1968 Caddy motor running a 10.5:1 compression within the T-bird, it was a no brainer. The motor was upgraded with a Cad Company/Edelbrock ported dual plane high-rise and an 850 Holley with a custom air cleaner to give the quad look, and polished PML valve covers. It also has a .540 cam helping round out the appeal of the Caddy motor – torque! The heavily modified frame went up to Wilson & Steely Kustom Coachworks (W&S) to get sandblasted, with Tony’s help, so he could paint it while still within the shop. They put the engine strapped to a GM Turbo 400 transmission on the new crossmember. The transmission had a shift kit, 2400 TCI stall converter, and a Hurst Quarter-Stick upgrade. 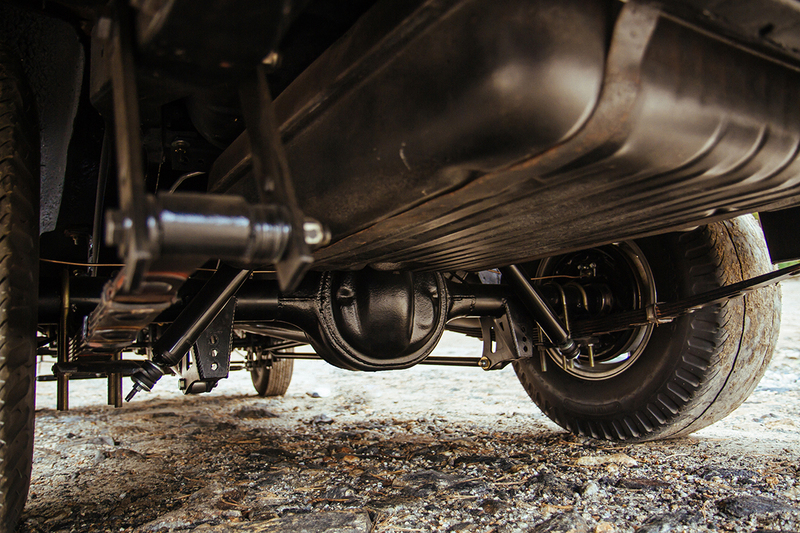 A narrowed 9” Ford posi rear-end completes the driveline. 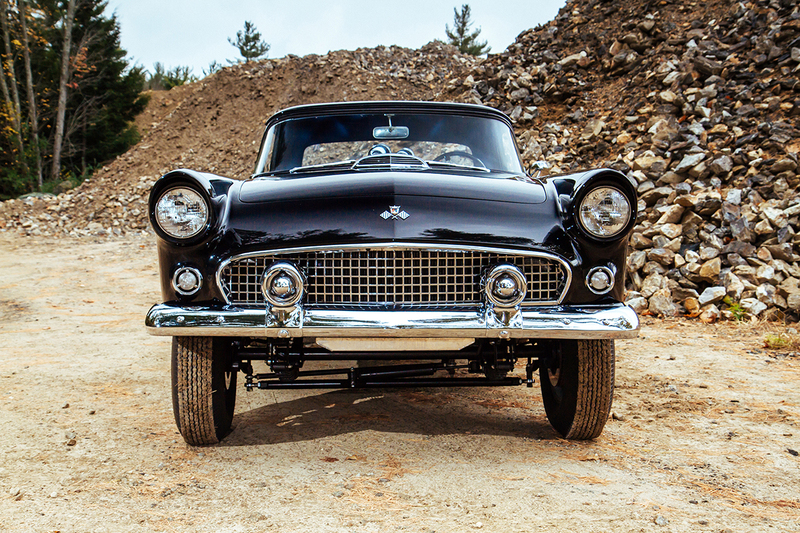 The front suspension uses Speedway Motors leaf springs while the rear has custom ladder bars utilizing fabricated floaters to compliment the rear 1959 Ford wagon leaf springs. A steering box from the wagon was also perfect because of its deep pitman shaft that dropped the drag link down to help with the steering geometry. All that remained were the Rocket Racing wheels wrapped with Firestone tires as the perfect combo, so the frame could head back home for the next phase. 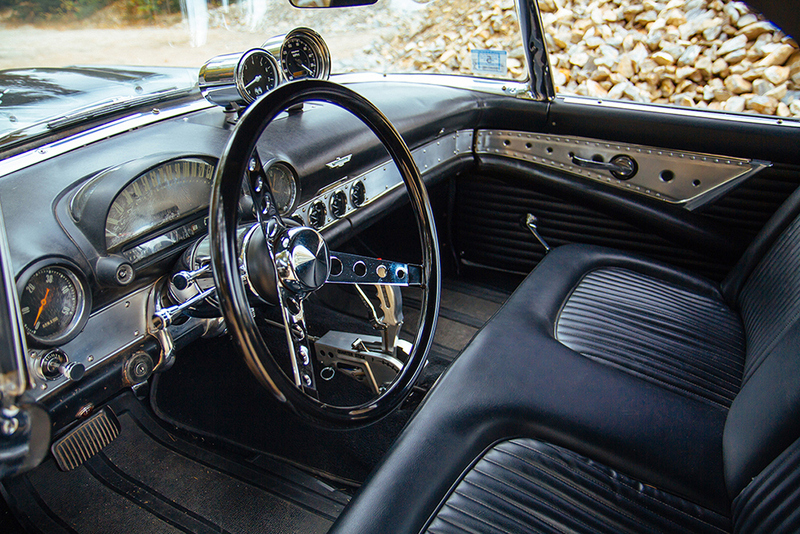 In the spring of 2014, Tony and Lesley located a completely stock car in southern Connecticut via Craigslist. 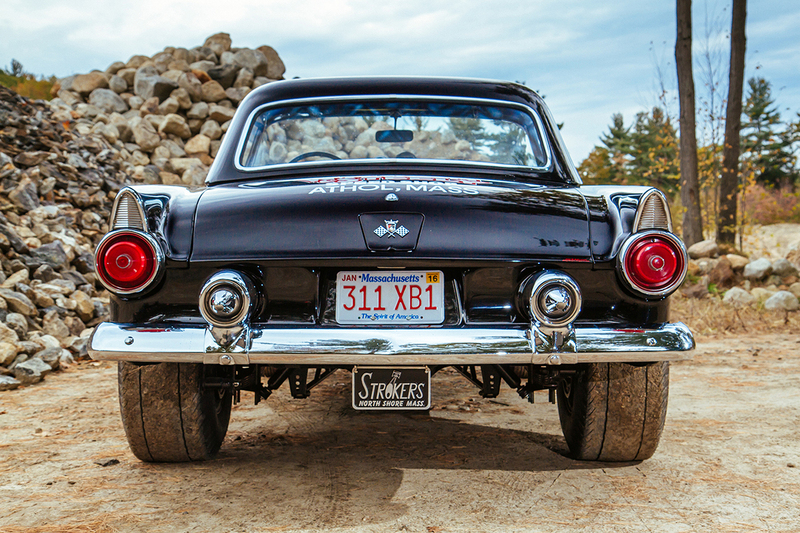 With the help of some friends and members of his Northshore Strokers Club of MA, they took the body off to put it on the gasser frame. Tony was then able to sell the donor’s rolling chassis and the cut front clip to a fellow out in Michigan who was doing a restoration and needed something solid. Lesley was just happy to get the frame out of the yard! With the body on, the project moved back to W&S for final assembly. At that point, W&S started the body modifications, radiusing the rear wheel wells and reworking the inside of the body to accommodate the size of the Rockets and slicks. The result provided a lower center of gravity that would give the traditional old school gasser stance, important to Tony’s vision. They also kept a slightly wider rear axle as used in the ‘60s, and the front accented by the custom headers for the added touch. Next were bodywork, re-gapping the entire car, and dechroming certain parts, like around the windshield moldings in prep for paint and interior. 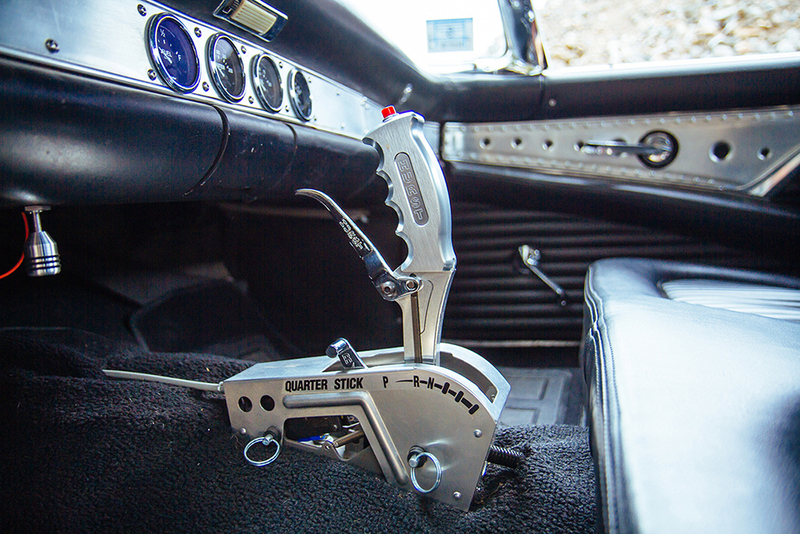 Now it’s time to teach Lesley how to throw the gasser in gear and smash the pedal!